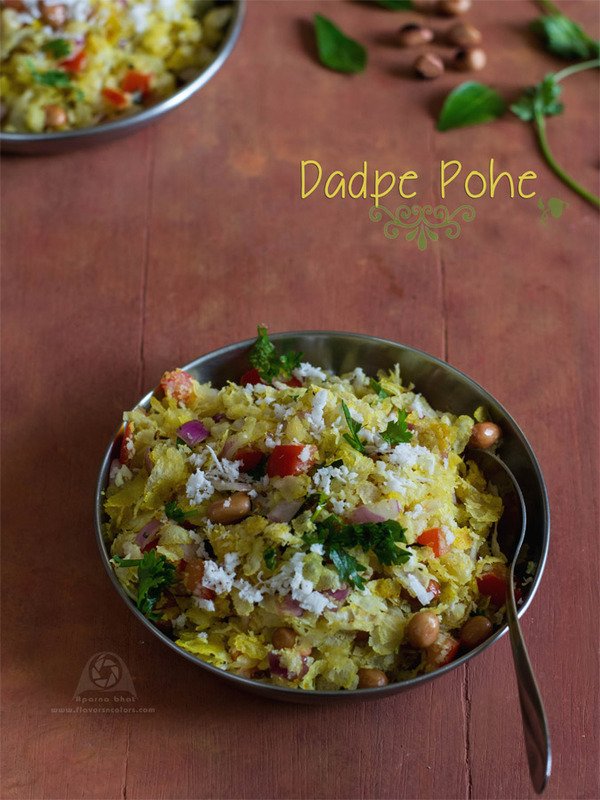 Dadpe pohe is a simple and an easy to make Maharashtrian breakfast dish from flattened rice flakes. A quick recipe with almost no cooking involved except tadka/tempering, it is a variation to regular Kanda Poha or Batata Poha. We can have this as evening snack too. 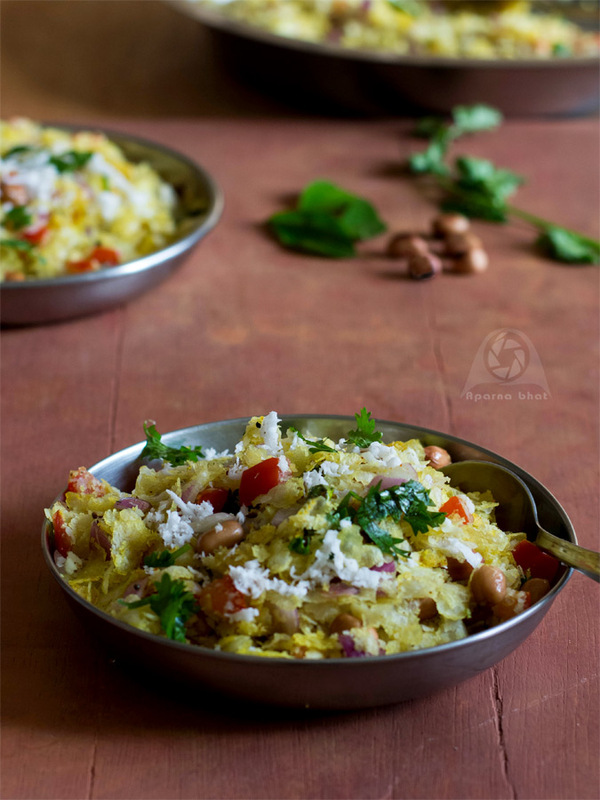 In this recipe, poha is mixed with coconut-onion mixture, covered and placed under pressure allowing the flavors to infuse very well. The process of keeping the mixture covered and under pressure is called 'Dadapne' in Marathi and mostly it is this action that led to the name of the dish as 'Dadpe Pohe'. In a flat plate (called paraat in marathi) or big bowl, take chopped onions, grated coconut, finely chopped green chilies, finely chopped coriander leaves, salt, sugar. Squeeze the mixture with hand nicely. Now add thin variety of poha and mix everything gently. Once mixed, cover it with plate and keep something heavy on it for 10-15 mins. Meanwhile heat 1/2 tsp of oil in small pan. Add peanuts and roast them until light brown. Keep them aside. In the same small pan heat remaining oil, add mustard seeds. As they splutter add cumin seeds, chopped green chilies, curry leaves, turmeric powder, hing. Stir it well and switch off the flame. Add the tempering to mixture. Mix it well and keep the mixture covered for another 2-3 mins. Just before serving add roasted peanuts, chopped tomatoes, some lemon juice and mix it well. Serve it garnished with fresh grated coconut and finely chopped coriander leaves. If there is more time you may roast the poha to make it little crispy before adding it to the mixture.